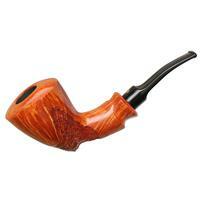 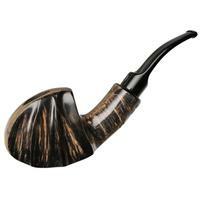 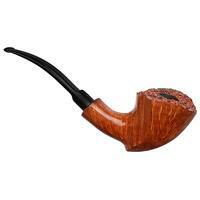 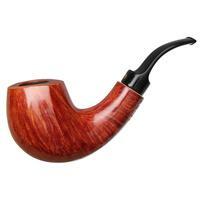 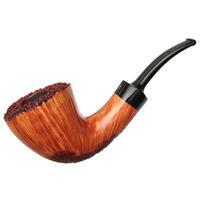 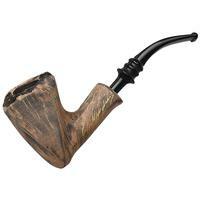 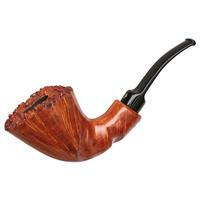 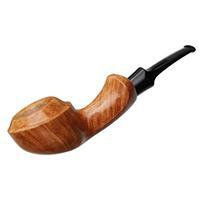 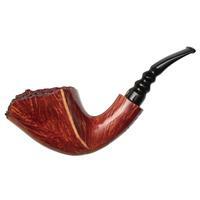 With a plateaued rim and overtly flared bowl, this is a classically designed Danish bent Dublin from Poul Winslow. 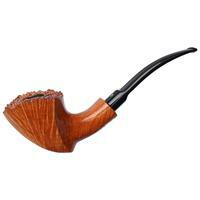 Stunning grain streaks its facets, illuminated by the honey-blonde stain, but the true eye-catcher is the asymmetry between the sinuous groove along the left flank and the ridgeline sweeping up the right. 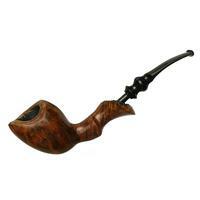 Outside Diameter: 2.09 in./53.09 mm.